About Lisa Lund, CRC, MFT | Senior Certified Gottman Therapist | Certified Rehabilitation Counselor | Licensed Marriage and Family Therapist. As a marriage therapist and couples counselor, Lisa Lund offers couples therapy & marriage counseling, couples workshops and professional trainings to Marin County, California, and the greater San Francisco Bay Area including the communities of: San Rafael, Corte Madera, Fairfax, Greenbrae, Kentfield, Larkspur, Mill Valley, Ross, San Anselmo, Sausalito, Tiburon, Belvedere, and Novato, California. In addition to offering couples The Art & SCIENCE of Love - Weekend Retreat Couples Workshops (which are also eligible for continuing education units for professional clinicians), she trains therapists to use research-based Gottman-Method couples therapy for their clientele with relationship issues. Lisa Lund, MFT, is a licensed marriage and family therapist who firmly believes that couples can learn the skills needed to improve their relationship. She utilizes structured, research-based approaches that are designed to get results. 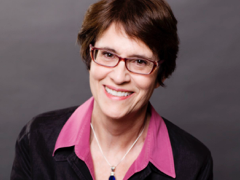 Lisa is a Master Certified Gottman Counselor and Workshop Leader directly trained by Drs. John and Julie Gottman, and is an active member of The Gottman Institute Speaker Bureau. She is also trained in Emotionally Focused Couples Therapy (EFT) and Pre-Marital-Assessment (Prepare/Enrich). She is a licensed Marriage Family Therapist (MFT 33393) and a Certified Rehabilitation Counselor (CRC 9916) with over 20 years of counseling experience. Lisa Lund, MFT’s specialty is in helping couples improve their relationships. She works directly with couples in Kentfield, Marin County, California at A Couple’s Place. In addition to working with couples privately, she teaches workshops and retreats to couples wanting to enhance or repair their relationships. Currently, Lisa is offering The Art and Science of Love: Couples Weekend Workshop and Retreat. Lisa also trains clinicians. Currently she is teaching the Level 1, Level 2, and Level 3 professional trainings for Gottman Couples Therapy: A New Research-Based Approach for couples therapists. Prior to her work with couples, Lisa worked in the field of Rehabilitation Counseling. In the early 1990’s she was an employer representative with The Marriott Foundation Bridges Program. Through powerful and entertaining presentations and one to one coaching, Lisa helped demystify the American with Disabilities Act (ADA) for employers. She facilitated many job matches for people with disabilities. Since then, Lisa has continued to give presentations in the work environment, helping employers and managers improve their interpersonal dynamics and communication. Lisa is an accomplished trainer and sought-after speaker, known for her energetic and entertaining presentations for both lay and professional audiences including corporate settings, universities, conferences and community agencies. Lisa is active in community service. She has served as an executive board member for the Redwood Empire California Association of Marriage and Family Therapists (RECAMFT), as well as on executive boards for Marin CAMFT and for The Matrix Program for people with disabilities. Lisa is a graduate of San Francisco State University with a Masters in Science in Marriage and Family Counseling and in Rehabilitation Counseling (1992).